Description: TSAL053 - Guardian Lion Garden Sculpture - Guardian Lion is one of the best hand carved marble statues to ever grace the artistic world. This marble statue of a lion will make a solemn marble statuary wherever it is placed. 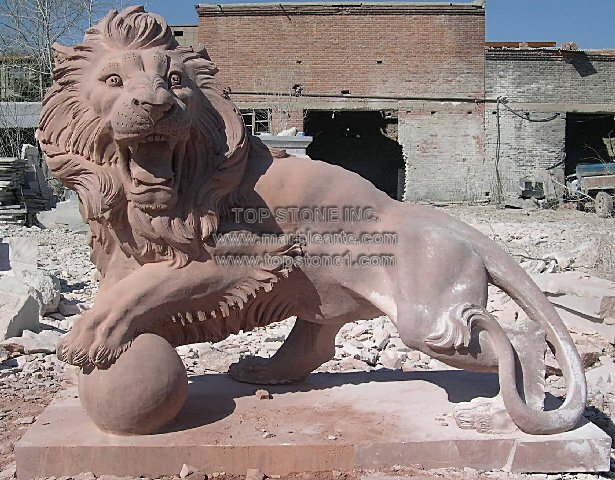 As a garden lion statue, its marble carvings are enough to drown every other sculpture out. From a keen look at the wonderful examples of the marble statues uk, you can set up this wonderful piece of Italian marble not only as a garden ornament but also as your home statues as well.